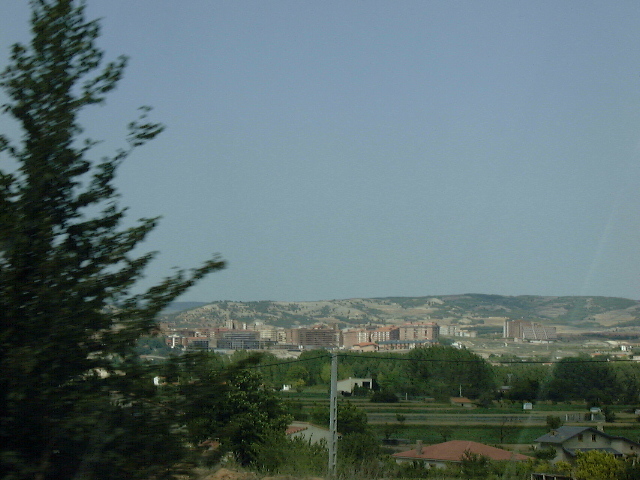 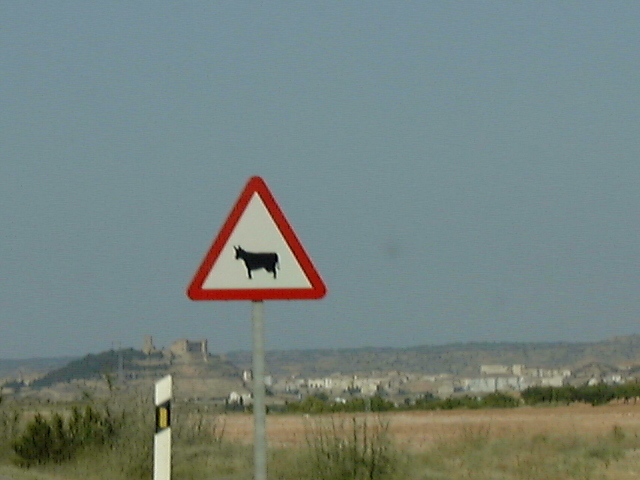 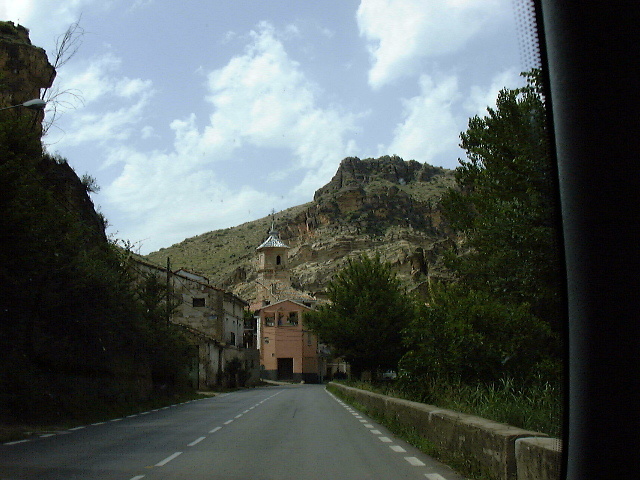 These are pictures of our 6 hour trip from Toledo to Alcañiz. 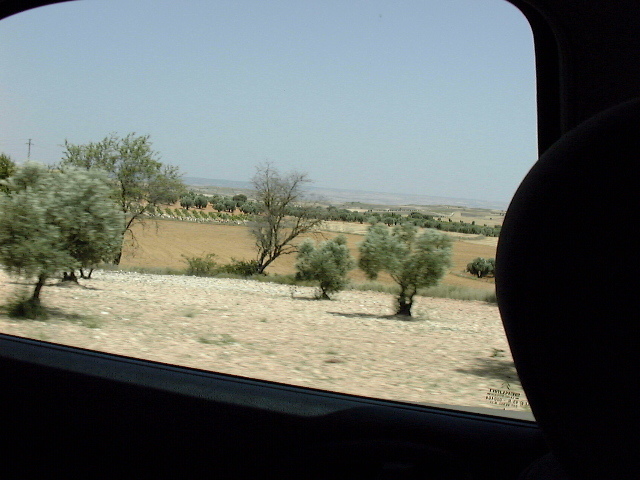 Megan drove our rental Citröen Xsara and Guy did the navigation. 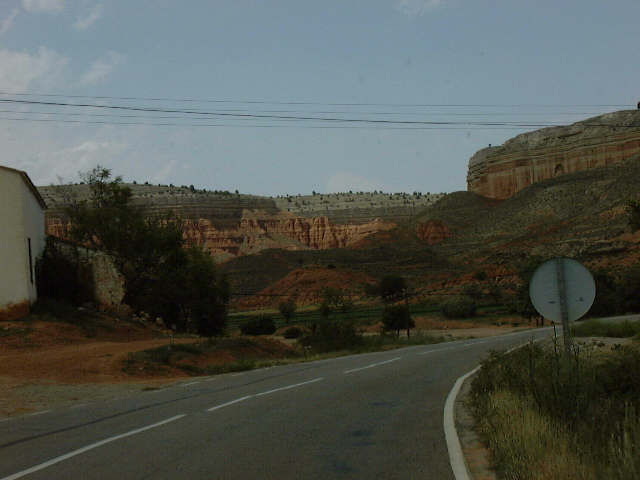 Even though Spain's highway system is not as extensive as the U.S.'s, it really didn't need to take 6 hours for us to get there-we just took the scenic route. 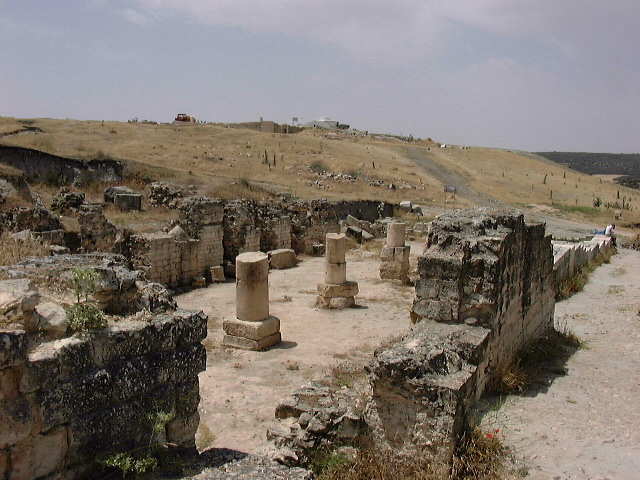 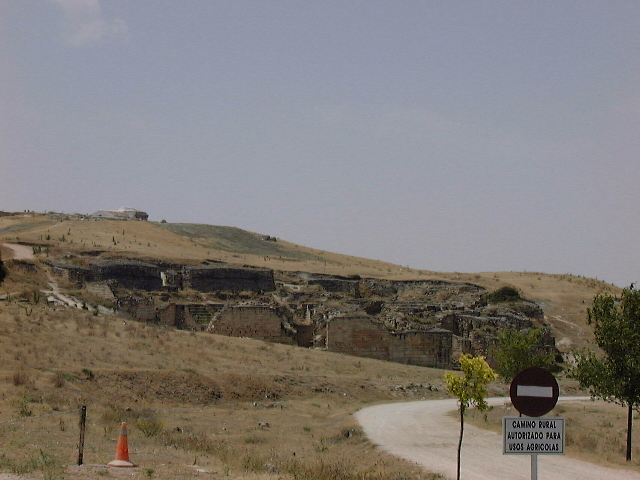 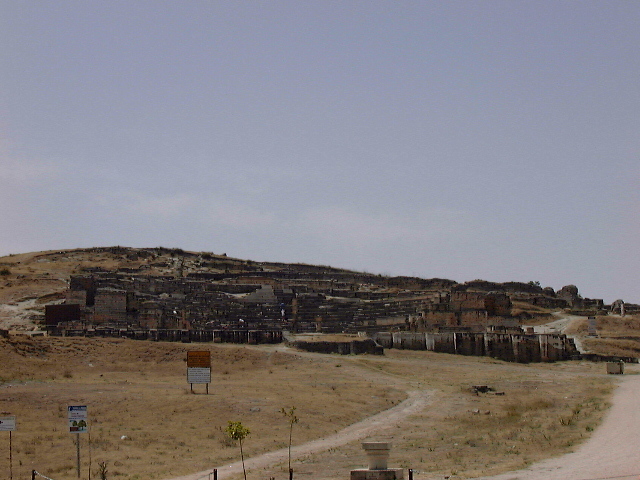 These are the ruins of the small Roman city Segóbriga. 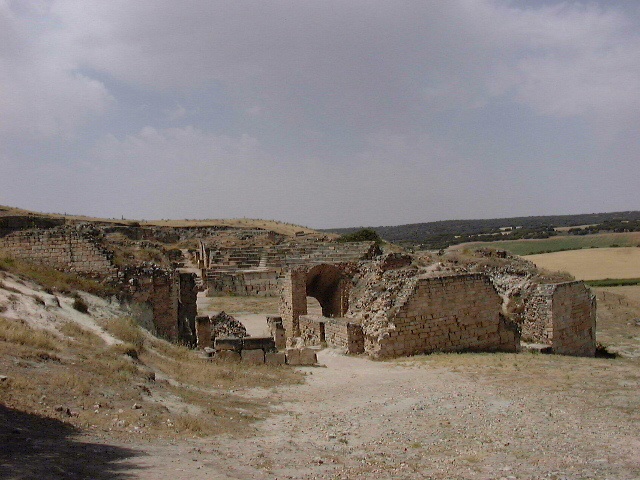 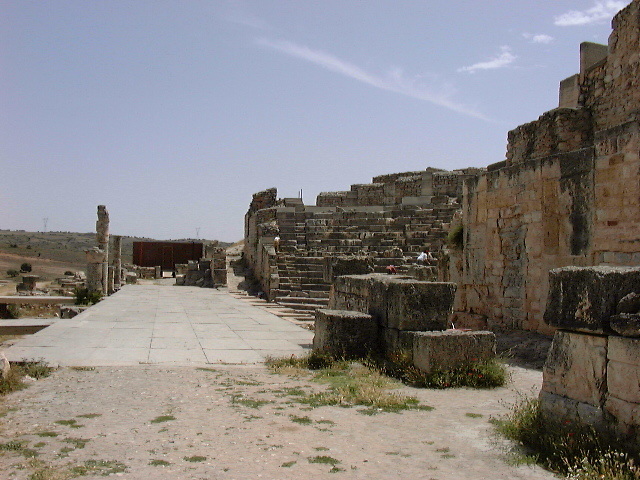 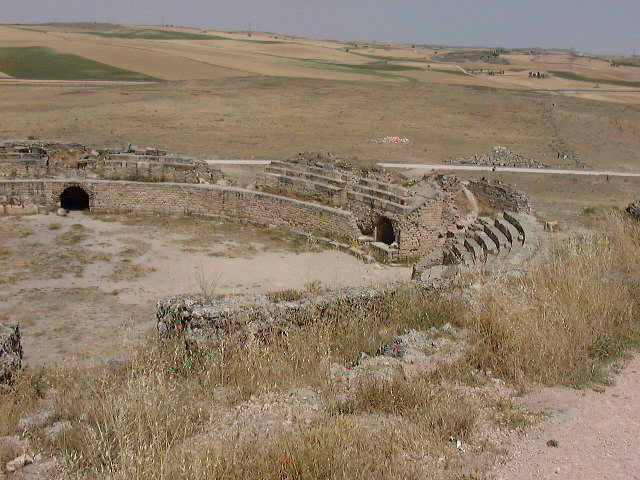 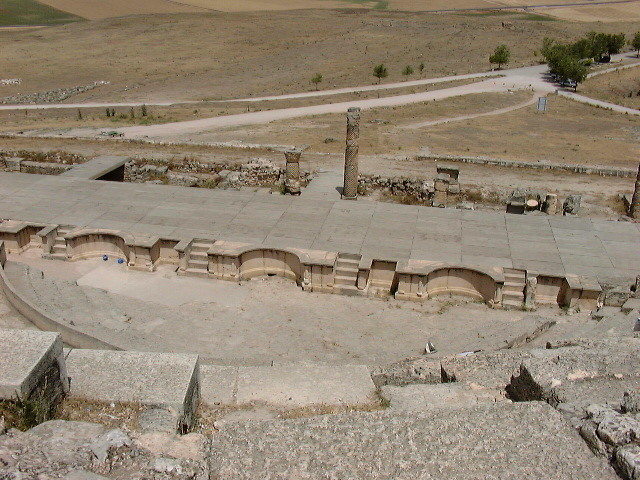 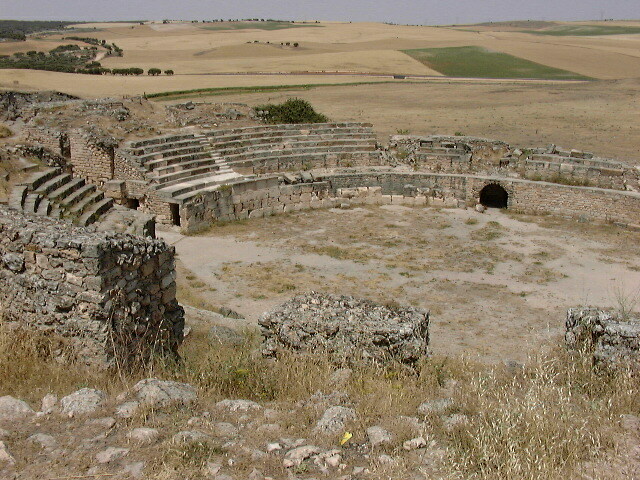 It had a theater built in the 3rd century, a necropolis,an amphitheater, a temple to Diana, and public baths. 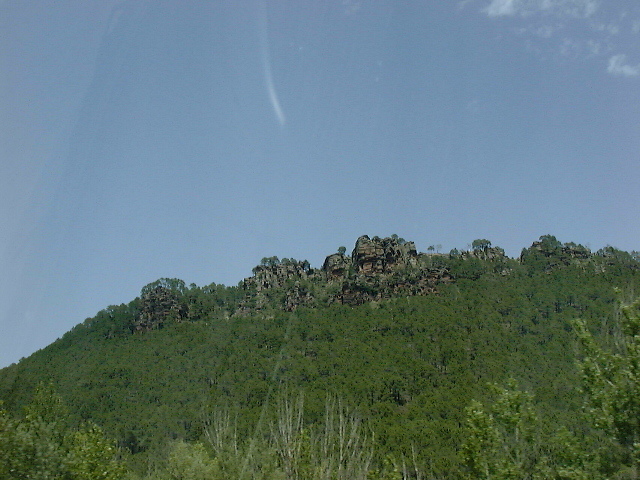 The only officially scenic outlook on our drive. 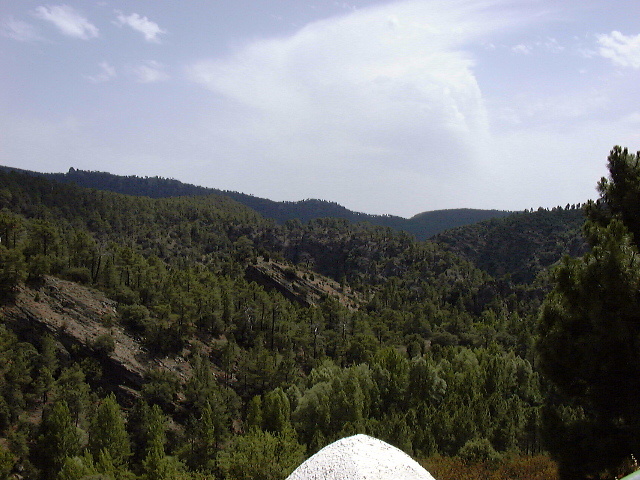 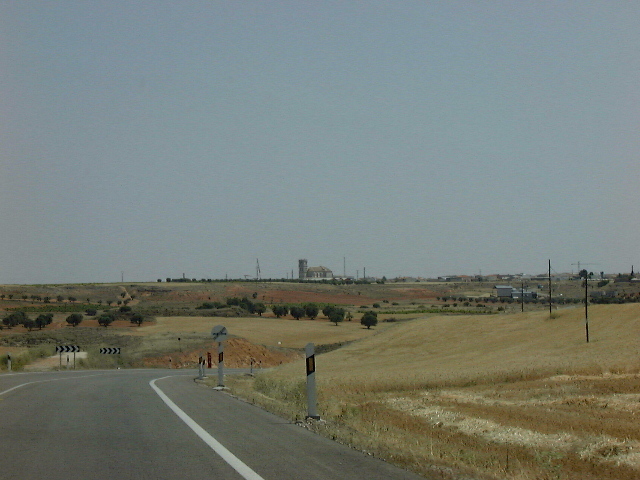 More scenery, closer to Alcañiz. 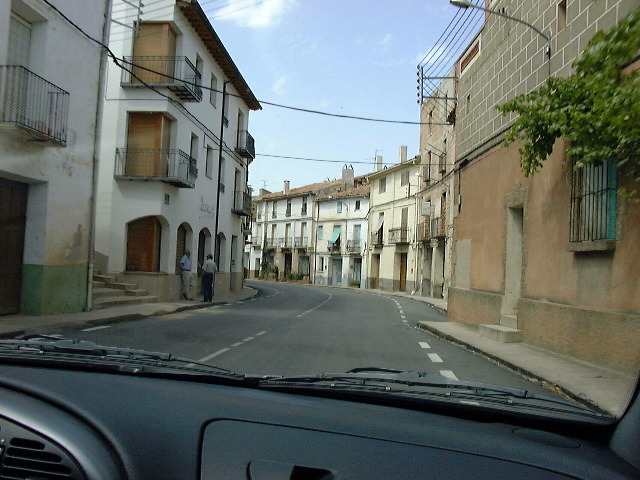 Small towns and villages along the way.